Head northeast on Schutt Rd. toward Rolling Meadows Rd. Turn left onto Dunning Ave.
Take the second right onto NY-211 E.
We are on your right at 520 Rte 211 E. in Middletown, NY. Featuring the complete line-up of exciting new Honda models, including the ever-popular Accord sedan, Civic, and CR-V, you’d be hard-pressed to find a better selection of new Honda models anywhere else near Mechanicstown. We also carry a wide variety of high quality used vehicles of all kinds, and a terrific selection of like-new Honda Certified Pre-Owned vehicles. We believe we’ve got the car, truck, or SUV you’re looking for! Whether you are looking to buy or to lease, you can count on our professional finance specialists to put together a loan and finance package that works with your budget. Get pre-approved today by filling out our convenient online finance application. We know how difficult it is to have your car in the shop, so we work extra hard to efficiently diagnose and repair your vehicle in a timely fashion. Our certified technicians have the expertise and skills needed to perform the full range of repair and maintenance services. Our Quality Care provides you with a level of service and support that is difficult for any other dealership to match. For your convenience you can schedule your next service appointment online. When you need genuine Honda parts or authorized accessories visit our parts center. If we don’t have the item you’re looking for we’ll order it for you and have it delivered in record time. 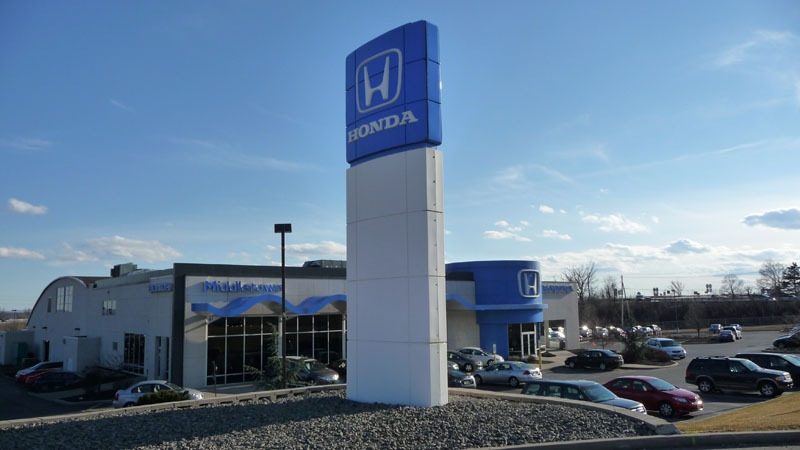 Stop by our Mechanicstown area Honda showroom and let us know what we can do for you today. We are your full service dealership and we hope to see you soon! Please feel free to contact Middletown Honda if you have any questions.